5x the performance of our 23hp Impeller Vacuum! Capable of no operating downtime* when changing bags! Trailer mounting to cut down on job-site setup! The M.O.A.V.’s power is absolutely insane! Our new M.O.A.V. is a rugged, powerful vacuum that can turn those day-jobs into hour-jobs. Did we mention it is the equivalent of 5 of our 23 h.p. Impeller vacuums? This unit is no slouch! Large, 37 h.p. Briggs and Stratton (Vanguard) engine for solid power. 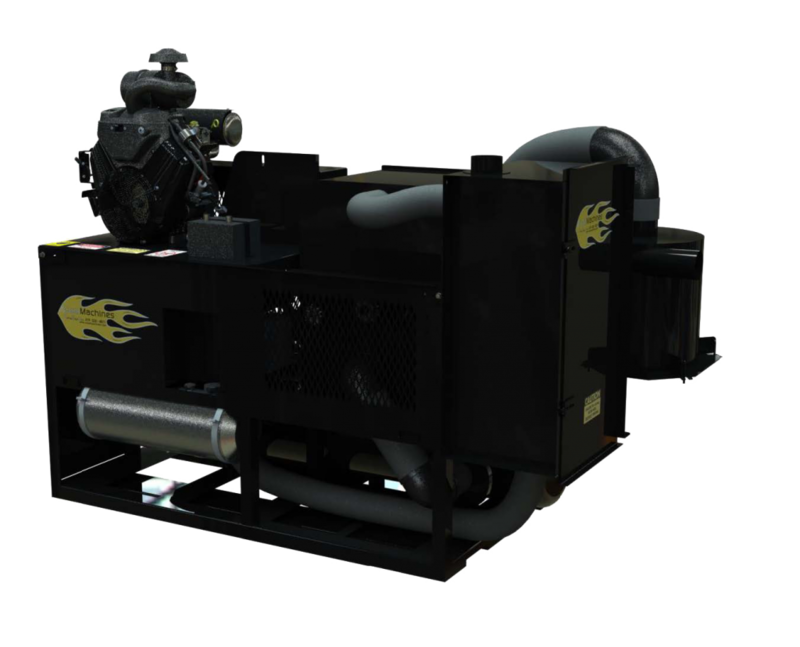 Largest vacuum engine in our lineup! No High Speed Impeller; means much less maintenance due to worn/damaged impellers and chambers. 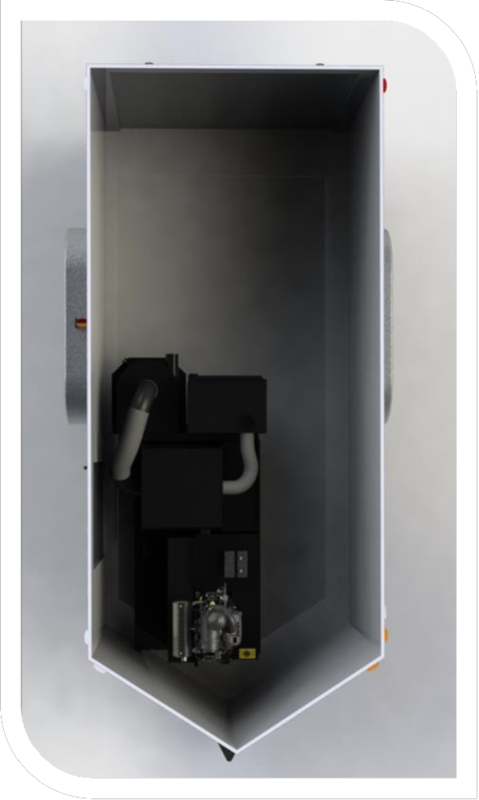 No overheating concerns with the engine cooling air and muffler exhaust plumbed outside of trailer. As quiet as our impeller vacuums; Considerably quieter than high speed air-raid siren noise of belt drive vacuums! Trailer/skid mounted system reduces set-up time and lowers risk of transport abuse and damage like that of smaller units. Pull hoses, connect, and fire up the engine! 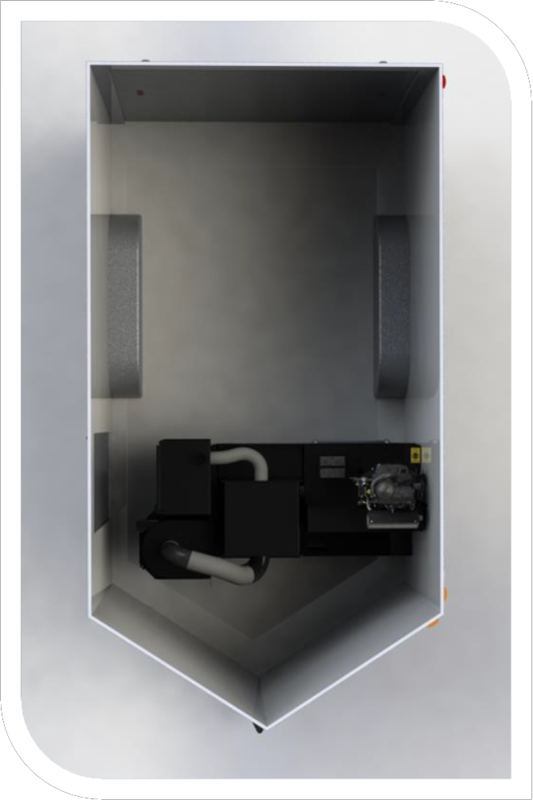 We have the industry’s highest rated, heavy duty, wet/dry gas vacuums with cutting edge design features. Engine: Briggs “Vanguard” V-twin OHV, 10 gallon tank, positive pressure lubrication, low level oil shutdown, oil pressure shutdown switch, r.p.m./hourmeter, Electronic Fuel Enjection (EFI). 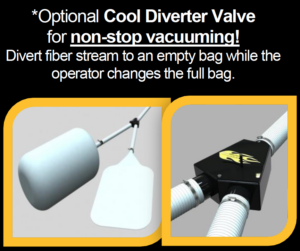 Vacuum Speed: Fills standard 75 ft3 collect bag in minutes.